For the first time, doctors have tied infection with the Zika virus to possible new heart problems in adults. The evidence so far is only in eight people in Venezuela, and is not enough to prove a link. It’s also too soon to know how often this might be happening. The biggest trouble the mosquito-borne virus has been causing is for pregnant women and their fetuses. 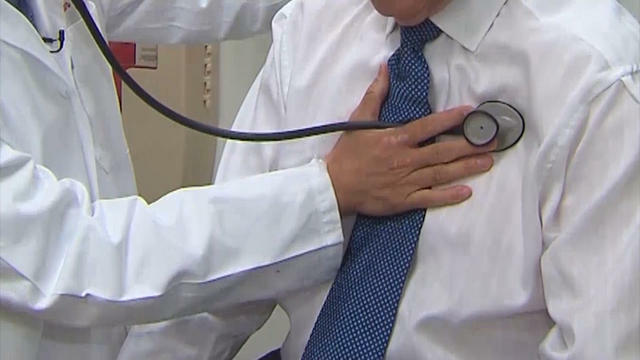 “I think as awareness increases, the cases will start to show up more,” said Dr. Karina Gonzalez Carta, a Mayo Clinic research fellow working in Venezuela who investigated the heart cases. She discussed them on an American College of Cardiology press call, ahead of a presentation Saturday at the group’s meeting in Washington. Many people infected with Zika will have no or only mild symptoms, such as fever, aches, an itchy rash or red eyes. But the virus has caused an epidemic of birth defects in the Caribbean and South America, notably babies with abnormally small heads and brains. A report last June in the International Journal of Cardiology describes heart problems that have been seen from other viruses spread by mosquitoes, such as West Nile and ones that cause yellow fever, dengue fever and chikungunya. Doctors have been watching for the same from Zika, and “we were surprised at the severity of the findings” in the Venezuela cases, Carta said. She studied nine patients, ages 30 to 64, treated at the Institute of Tropical Medicine in Caracas who developed heart symptoms such as palpitations, shortness of breath and fatigue an average of 10 days after typical Zika symptoms began. Only one had any prior heart-related problem — high blood pressure that was under control with medications — and all had lab tests confirming Zika infection. They were given extensive heart tests and were studied for an average of six months, starting last July. Eight of the nine developed a dangerous heart rhythm problem, and six of the nine developed heart failure, which occurs when a weakened heart can’t pump enough blood. Doctors don’t know if these problems will be permanent. So far, they haven’t gone away although medicines have improved how patients feel. “This is the first time we’ve considered that cardiovascular disease may be associated with Zika,” and people who travel to or live in places where Zika is spreading need to watch for possible symptoms, said Dr. Martha Gulati, cardiology chief at the University of Arizona-Phoenix who is familiar with the results. Zika infections have been reported in more than 5,000 people in the United States, mostly travelers. After a big outbreak in Brazil in 2015, Zika spread throughout Latin America, the Caribbean and elsewhere. The virus also spread locally in parts of southern Florida and Texas last year. The U.S. Centers for Disease Control and Prevention has warned pregnant women to avoid travel to Zika zones and to use bug spray and other measures to prevent bites.